A bold statement, perhaps. But we believe in business relationships that bring out the best in our clients. And in us. Our clients tell us one of our greatest values is we’re always looking ahead to the next step in their success. That we’re always ready with the next actions they need to take. That, sometimes, we’re leading them. We’re very focused on results, and we’re committed to giving you our best wisdom and counsel – even if it’s what you don’t want to hear. We’re willing to step outside our comfort zone to help you be successful. Our team is made up exclusively of seasoned, hands-on professionals who are strategic thinkers and doers – willing and able to “haul the wood” to help you play to win. We maintain a careful balance between staff size and our client roster to ensure that every client enjoys a high level of professional service – and results – at all times. This balance also enables us to be an on-demand resource – fully engaged only when you need us. 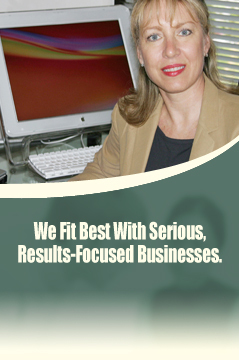 We give you maximum flexibility and we get your staff out of the seasonal, sporadic marketing communications business. Thank you for visiting our online home. I invite you to learn more about how we work, our core expertise, and examples of how we’ve helped our clients play big in their markets – and win.